This is the first in a two part series on how Google Wave might be of benefit to BAs in the future. This part is an overview of Wave and one scenario on how Wave might be useful to a BA's customer. The second part contains another customer scenario, a scenario on how BAs could use wave to manage requirements and a conclusion about why I think Wave is headed in this direction. Before reading more in this article, its a good idea to get your brain wrapped around what exactly Wave is and what it is not. Instead of rehashing all of that here, I'll just point out a few links to articles written by different authors that cover the basics and the advanced. Go read those and come back; I'll wait on you. Patiently. Now that you've familiarized yourself with Wave, you are probably wondering one of two things... isn't this email? or isn't this a chat room? If you're thinking deeply today, you might even wonder if this isn't just a new document collaboration paradigm. None of these seem really new, and they're not, but you are really just scratching the surface as to what can do and are not seeing what it is. If I was forced to pick a single word to explain Wave, it would simply be 'glue'. That might seem odd, but you have to understand the problem place in which Google currently finds itself. Either through home-grown initiative (Gmail, Calendar, Desktop, etc) or through acquisition (Docs, Blogger, YouTube, Picasa, etc), Google's portfolio of applications has grown large and disparate. While your Google Account ties all of these services to you the user, these apps fail rather spectacularly at being tied to each other. For a great example of this, check out the Google Dashboard and look at all the individual pieces of information Google has about you, then think about how much information you've had to duplicate across each of those applications at one time or another. If you look at your account details, you'll see the common information at the top of the screen, which is not much. So how does this translate into Wave being 'glue'? What Wave will do is allow you to connect all these applications together, bringing all of your data into a single unified view. So why would anyone want to pull all of that data together? I'm glad you asked because I'd like to outline a few usage scenarios for you that might one day (with the proper extensions) be available for you and your customers. Lets say that your client is an Event Planner that has their own small company. One of the biggest issues they have is finding a way to keep all of their information about a job organized and consolidated so they can easily understand how much time it took them to create the event and what needs to be billed to the client. 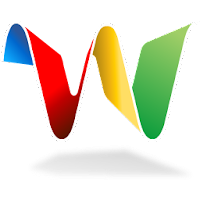 You suggest that they use Google Wave to solve their problems. Here's how you might do it. The event planner creates a new wave and adds their client to the wave. The planner needs a way to track who is invited to the party, so they add in the Google Spreadsheet extension, select a template for an event, add in pops a new widget into the wave. The client now adds names and contact information to the sheet. Since the client has their address book managed through Google Contacts, the spreadsheet knows how to pull all of the contact information directly from the client's account. All the client has to do is start typing and Google looks to see if there is a match between what is being typed and the entries on the contact list. If the client doesn't have time to put the guest list together, they can always delegate that function to their assistant. Since the client uses Google Apps for Business, the assistant can see their boss' contact list and thus, add contacts from any user who has delegated contact access to that assistant. The planner can send out an email blast inviting all the guests to the event. As guests accept or decline the invitation, that response is automatically pushed back into the guest list. If the response is a Yes or Maybe, then the guest could be prompted to ask if they want the event to be automatically added to their personal calendar. The planner or client could add in a Google Voice extension that could initiate outbound calls to each member on the guest list and personally invite each person, updating the invite list manually with the guest's response. Because Voice has the ability to track all calls, the amount of time spent on each call is automatically logged for billing. Lastly, the planner could add a Google Document to the Wave, select an invitation template and link to the invitation spreadsheet. This would create a mail merge where all the guest's needed information is pulled into the template. The document could then be printed by the planner or sent to a third party fulfillment house to be printed and mailed. Additional spreadsheets could also be added to the wave to track expenses, location options and planning the menu. A project timeline extension could be added as well, allowing all members to add tasks that must be completed during the lifecycle of the event. Once the event is complete, a Picasa or Flickr extension could be added to the wave and then pictures of the events could be uploaded for the guests (who could be notified by another mail merge) to view. All of that sounds really great, but how many event planners have a BA on call to help them put together something like that? Probably not too many. But one group of people that do rely heavily on BAs, especially in larger corporations, are sales people. The BA is often responsible for putting together the processes and systems that the sales team uses to track down leads, put together quotes and to process orders for the company's customers. What could Wave do for a sales team?